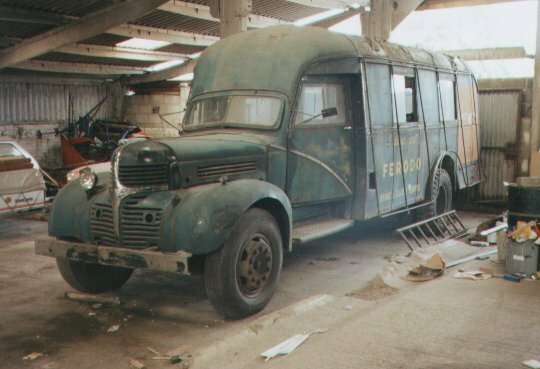 This 1940 Truck came to the UK as a chassis cab, was bodied by Mulliners, a coachbuilding company in Birmingham UK, and used by RAF as aircrew bus til after the war when it was converted into a racing car transporter, which is how it still is now, although not been used since 1955. Please note that although the grill does not appear correct for 1940 trucks, it is correct for the military contract trucks. The holes in the grill are for supports that hold a military brush guard mounted on the bumper.